Stockists of Europa Concrete Block and Bretts Tumbled effect decorative paving in a range of sizes and project packs; A tough, hard-wearing block capable of handling heavy-use trafficking but with the size and colour range to meet most visual design criteria. 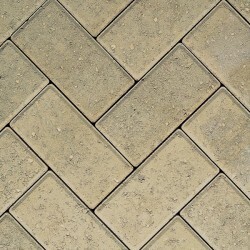 We also offer block paving from other manufacturers, if we don't have it in stock, we can get it! To discuss your requirements, contact a member of our sales team. ALPHA TRIO 50MM A/GOLD RUMBLED BLOCK PAVING Pack size 11.64M2..
ALPHA TRIO 50MM BRINDLE RUMBLED BLOCK PAVING Pack size 11.64M2..
ALPHA TRIO 50MM SILVER HAZE RUMBLED BLOCK PAVING Pack size 11.64M2..